The End of the World is a series of small, self-contained RPGs from Fantasy Flight Games, being translations of games originally released by Edge Entertainment, a major Spanish game publisher. (As well as producing their own material and being FFG’s Spanish-language licensees, they also put out Spanish-language versions of a range of other games, including Fiasco, Call of Cthulhu, Trail of Cthulhu, and Eclipse Phase.) So far as I can make out, these are straight translations, with the art and format unchanged from the Spanish versions beyond the sort of layout changes which would obviously be necessitated by the translation process. Each of the four games in the series provides the same game system, along with a set of end-of-the-world scenarios playing on a particular theme – zombie plagues, divine wrath, alien invasion, and a Terminator-style machine revolt. The basic conceit of the game is that rather than play made-up characters (though the door is open to do that if you like), the players play themselves, faced with a world-shaking catastrophe and trying their best to survive. Since each book provides a range of different scenarios, it helps avoid to a certain extent OOC knowledge contaminating the game – even if somebody has read the core book, they don’t know which scenario you intend to use, and it isn’t necessarily safe, easy, or even sensible to try and work out which scenario is in play. Where’s the Kaboom? There’s Supposed to Be an Earth-Shattering Kaboom! One variety of apocalypse not depicted in the original series, and not presented in the translated game line, is the good old-fashioned nuclear armageddon. Given the recent revival of Mad Max and the strong reception of Fallout 4, this seems to be a bit of a missed opportunity. 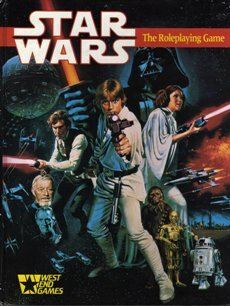 It’s possible that the developers decided that such a scenario was a bit too close to the bone to develop a game around, but given that we’re already dealing with a game in which you speculate about the gruesome ways in which you and your friends may die in the wake of various catastrophic events taking radiation sickness and nuclear blasts off the table feels coy. Still, with the system here it should be simple enough to improvise a nuclear war scenario if you like. 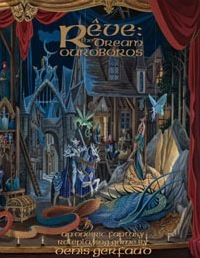 Rêve: the Dream Ouroboros is a curious treat from the French RPG scene that had to wait until 2004 to get an Anglophone rendition. First emerging in 1985 as Rêve de Dragon, the game was designed by Denis Gerfaud, provided with characterful interior illustrations by Rolland Barthélémy, and had its English translation prepared by “Hieronymous” and put out through Malcontent Games. The English edition is for the most part taken from the 1993 second edition, though Hieronymous – a long-time fan of the game – has also seen fit to include a few supplemental options here and there, as well as bringing back a few spells from the original release that had been deemed overpowered back when the second edition came out but which Hieronymous thought were too fun to discard. All these little alterations were approved by Gerfaud, so this 2nd-edition-plus-extras version is hardly a poor cousin compared to the French version. The concept of Rêve, as Francophones reading the title may have guessed, is dreams: namely, the basic idea is that all that we see or seem is but a dream within a dream – or rather, one of a series of dreams endlessly intertangled with one another. As the gameworld’s philosophers say, the world is but a dream of Dragons, and the ages of the world are measured by the Dragons’ snoozing. When a creature dies, all that this means is that the Dragon who was dreaming them has woken up; luckily, for the most part the Dragons spend all their time snoozing. Unluckily, mass awakenings of the Dragons are possible – it happens when conditions in the dreamworld become so intolerable to them as to become a nightmare, which they escape by waking up. When such awakenings occur, it is the end of an age – due, naturally, to the massive unravelling of reality that accompanies their rousing. It is presently the Third Age, and each Age brings with it a new phenomenon which thereafter becomes a permanent feature of the dream. In the First Age, the Age of Dragons, the gnomes learned the secrets of magic by discerning the language of the dragons hidden in apparently ordinary objects, and through that the art of High Dreaming – a process of figuratively whispering in the Dragons’ ears in order that their dreams may change accordingly, this being the basic principle behind all magic. In the Second Age, the Age of Magic, the barriers between dreams became weakened, and eventually they began to spill into each other. The dreams have changed but the rifts remain, paving the way for this Third Age – the Age of Journeyers. Journeyers are those who are not cowed by the dangers of travel or the prospect of ending up in strange dreams alien to their homelands, but venture forth to explore the world to sate their wanderlust – naturally, PCs in Rêve are Journeyers, and some even know the arts of High Dreaming. At first the rules system of Rêve does not seem to reflect this stuff that closely – we start off with rules for task resolution (using a table whose working takes a little bit to explain but which seems like it will feel natural after a bit), character generation, combat, fatigue, and so on and so forth. The spice comes in once we are introduced to the concept of the PCs’ archetypal self – a self that has attained baseline mastery in all skills and supreme mastery in a few specialisations over innumerable repeated incarnations. As mentioned, when a PC dies in Rêve, the Dragon dreaming them wakes up – but the archetypal pattern of that character reasserts itself once the Dragon falls asleep again, allowing the character (sometimes older, sometimes younger, sometimes in strikingly different circumstances) to return to play. On top of that, the archetype allows for rapid learning of high-priority skills; as you adventure, high-stakes situations earn characters Stress points, and usually it is by spending these points to improve skills that skills improve the fastest – but you can only spend those points to improve skills which have not yet reached their archetypal score. (This represents the PC recovering forgotten knowledge from their archetype.) Once a skill hits the archetypal level, it can only be improved through practice and training and making difficult rolls; on the plus side, once you boost a skill past the archetypal level, the archetypal skill goes up accordingly (because you have attained a level of expertise you have not hit in your previous incarnations), so you can if you wish recover the benefits of your hard work in future existences. Even more evocative is the magic system. High Dreamers are able through meditation to access a higher plane of the dreamlands, closer to the minds of the Dragons themselves, and by moving to the correct sort of territory in there and braving the mini-encounters they face can prepare and unleash spells of the approriate type. Combine this with an amusing writing style which manages to balance being evocative with being clear adeptly, and the game’s onieric conceit is executed nicely. There’s a Vancian tone to proceedings which particularly suits the whimsical picaresque style the game encourages; after all, the various mechanisms of travelling between dreams are explicitly meant to avoid stodgy downtime chores and shunt PCs from adventure to adventure at the whim of the referee (though a small pocket setting is described at the back of the book to help start you off). The brace of adventures the book rounds off with are particularly good at setting this tone, which I think allows Rêve to claim to be the first true picaresque RPG, emerging as it did well over a decade before the Dying Earth RPG. For the last go-around this year, let’s look at ENWorld’s list of hot RPGs.